* Cholesterol is a fatty steroid that is essential to the healthy functioning of the body. Most cholesterol is produced in the liver (the rest is taken in through the diet) and is released into the bloodstream where it is carried to body cells via LDLs (low-density lipoproteins). Excess cholesterol will continue to circulate in the blood stream until it is taken back to the liver by HDLs (high-density lipoproteins). * When there is an imbalance in the ratio of HDLs to LDLs, or if there is an excess of cholesterol in the blood, fatty plaques of cholesterol may build up on the inside of artery walls, eventually causing atherosclerosis and heart disease. * A total serum cholesterol level is considered to be high if it measures above 200 mg/dl as it is considered to increase the risk of heart disease. However, it is not enough to look only at the total cholesterol level — the ratio of HDL and LDL is considered just as important in determining risk for heart disease. In a nutshell, even if the total cholesterol is slightly elevated, the higher the HDL and the lower the LDL reading, the lower the risk of heart disease. * High serum cholesterol levels are one of the leading factors in heart disease and have been linked with high blood pressure, colon polyps, breast and prostate cancer, impotence and gallstones. * High stress levels, smoking and diet, in particular intake of animal products, saturated fat, sugar and alcohol, are the primary risk factors for high cholesterol levels. * Address Obesity Problems – obesity is known to reduce HDL levels and increases the risk of heart disease. * Quit Smoking – smoking and passive smoking decreases the levels of HDLs and increases the risk of heart disease and heart attack. See smoking for information on how to quit. * Stress Management – the mind has a powerful influence upon one’s health, and techniques such as meditation, yoga or breathing exercises should be a part of your daily stress management program to reduce the risk of heart disease and to reduce the serum cholesterol level for men. * Regular Exercise – exercise increases HDL levels and reduces the risk of heart disease. If you have a heart condition, please seek medical advice before undertaking exercise, as sudden vigorous exercise may cause a heart attack. * If possible, avoid drugs such as oral contraceptives, furosemide, levodopa, and steroids, as they may alter serum cholesterol levels. * Dietary Changes – diet is widely recognized as one of the best preventative measures and treatments for reducing high cholesterol levels. – Eat more and smaller meals during the day- grazing reduces serum cholesterol levels. 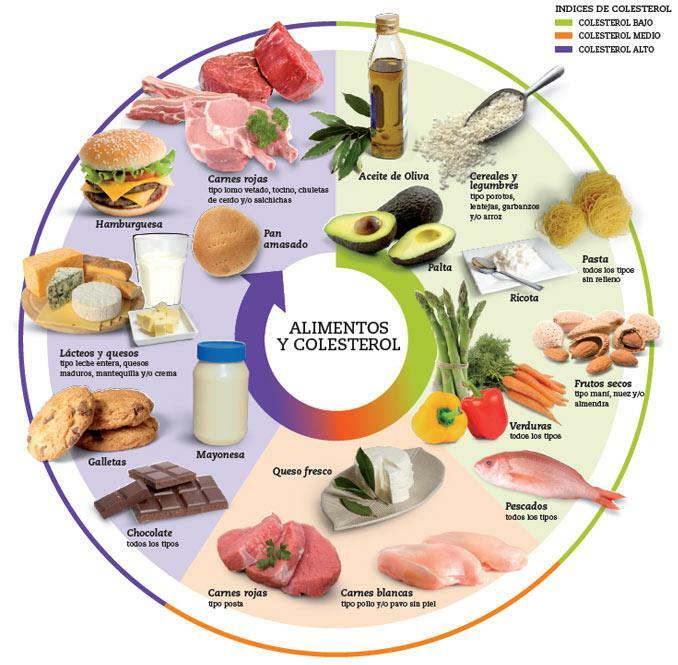 – Avoid saturated and hydrogenated fats, coconut and palm oil, heated oils and fats, animal fats, fried food, margarine and vegetable shortening, as they all increase cholesterol levels. Instead use cold pressed vegetable oils including flaxseed oil, olive oil, soybean oil, primrose oil. Olive oil is known to reduce cholesterol levels. Do not heat oils. – Avoid alcohol, coffee, eggs, sugar, non dairy creamers, white bread, candy, tea, processed, refined and fast foods, as they contribute to high cholesterol levels. – Adopt a vegetarian diet, as vegetarians and vegans have less incidence of heart disease and have lower cholesterol levels. A low-fat vegetarian diet has been demonstrated to even reverse heart disease in many cases. – Do not eat nuts. – Include plenty of high fiber foods such as barley, beans, oats, psyllium seed, brown rice and fruit, as they are known to reduce cholesterol levels. – Soy products, apples, bananas, garlic, grapefruit, carrots and fermented milk products also lower cholesterol levels. * Conventional treatment offers only cholesterol lowering drugs. These drugs are now thought to have serious side effects and should be used as a last resort if dietary and lifestyle changes do not work. See your nutrition oriented physician if you suspect that you need to be tested for high cholesterol, and for the appropriate treatment for your situation. VITAMIN B3 – NIACIN – Lowers cholesterol levels, helps in metabolism and improves circulation. Natural sources of niacin include fennel seed, hops, licorice, alfalfa, whole wheat products, tomatoes, vegemite, potatoes, dates, carrots, brewer’s yeast, chamomile and dandelion greens. 300 mg daily in divided doses may help. Do not take niacin if you are diabetic, or have glaucoma, gout, liver disease or peptic ulcers. VITAMIN B5 – PANTOTHENIC ACID – Pantethine a form of vitamin B5. Helps to metabolize fats, lowers cholesterol levels and increases HDL levels. Natural sources of vitamin B5 include brewer’s yeast, legumes, mushrooms, royal jelly, whole rye flour and whole wheat. 600 – 1,000 mg daily in divided doses may help. VITAMIN C – With bioflavonoids. Lowers LDL levels and preserves HDL levels with its antioxidant effect. Lowers cholesterol levels by increasing the rate by which cholesterol is converted to bile acids and excreted through the intestines. Natural sources of vitamin C include asparagus, onions, citrus fruit, sweet peppers, fenugreek, hops, peppermint, plantain, silverbeet, tomatoes, rose hip, pineapple, radishes, peas, papayas, mangos, cantaloupe, beet greens, avocados, kale and parsley. Up to 1 mg daily in divided doses may help. Do not use more than 5,000 mg daily if pregnant. Use esterified vitamin C if you use aspirin. Large doses of vitamin C may cause diarrhea, may deplete the body of copper and may affect the reliability of oral contraceptives. VITAMIN E – In emulsion form. Improves circulation, an antioxidant that protects against cell damage and reduces the risk of blood clotting. Natural sources of vitamin E include dark leafy green vegetables, brown rice, milk, oatmeal, sweet potatoes, kelp, watercress, wheat, cold pressed vegetable oils and cornmeal. Up to 1,000 mg daily in divided doses (begin with smaller doses and work up to 1,000 mg). Use only according to label instructions if you have diabetes, rheumatic heart disease or an over active thyroid. CALCIUM – Used to activate enzymes that break down fats in the body, a deficiency of calcium may lead to high cholesterol. Natural sources of calcium include leafy green vegetables, brewer’s yeast, blackstrap molasses, kale, sesame seeds, dandelion greens, seaweed – dulse and kelp, plantain, peppermint, fennel seed, chamomile, fenugreek, tofu, soybeans, figs, carob, parsley and flaxseed. Use according to label instructions. Seek medical advice before taking calcium if you suffer from hyperparathyroidism, kidney disease or sarcoidosis, or if you are taking a calcium channel blocker for heart problems or high blood pressure. Increased calcium intake may require increased magnesium intake. CHOLINE – Used in fat and cholesterol metabolism and protects the liver from fatty deposits. Natural sources of choline include legumes, soy lecithin, soybeans and whole grain cereals. 500 – 1,500 mg daily in divided doses may help. Do not take if you suffer bipolar depression. ALFALFA – Helps to prevent atherosclerosis. Eat raw or use according to label instructions. CAYENNE,CAPSICUM, RED PEPPER, HOT PEPPER. – Use to improve circulation. Eat raw or use according to label instructions. FENUGREEK – Improves elimination of waste. Use in cooking or according to label instructions. GARLIC – Lowers cholesterol levels, thins the blood and may reduce the risk of heart disease. Eat raw, or 2 – 3 capsules daily may help. Consult your physician before taking garlic if you are on heart medication. GREEN TEA – Protects against atherosclerosis and may lower cholesterol levels. Drink liberally. HAWTHORN – Berries reduce cholesterol levels, dilates the coronary blood vessels. Take according to label instructions. Note that excessive amounts can be dangerous as it may depress respiration and heart rate.